This Saturday on the heralded Mt. SAC course, some of the top Californians will take to the task of working to qualify to next weekend's Foot Locker Nationals. Originating as the Kinney Cross Country Championships in 1979, this was not only the first competition to crown a national champion (of ANY high school sport) but it is also the longest running event of its kind in national prep history. 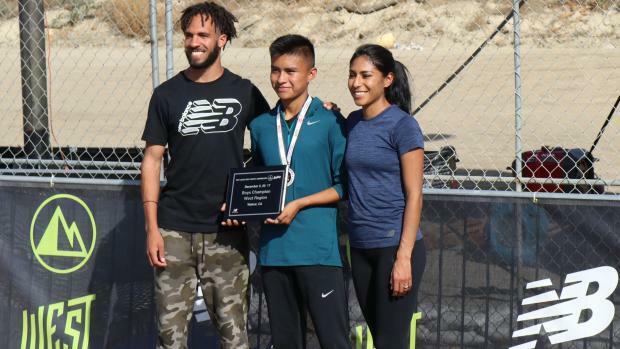 Split up into four regions (Northwest, Midwest, South, and West) throughout the nation, the Foot Locker Western Regional Meet only remains as the other 30 qualifying athletes were already established last weekend. With the California State Championships being the latest in the nation, the Western Regionals will see hundreds of squads flock in from out of state as many use this trip to Southern California as a postseason reward of sorts. The top 10 individuals per gender will be catered by Footlocker to compete next weekend at Morley Field as the Hotel del Coronado will be their host for the trip. At the 2017 Western Regionals, NINE seniors occupied the 10 qualifying spots. On the boys side, JSerra junior Anthony Grover is the second fastest returner from that competition. Meanwhile, coming down from Northern California, Connor Livingston of De La Salle, Palo Alto's Henry Saul, Los Altos' Owen MacKenzie and Stockdale's Marcus Mota also among the top returners. Not having to travel too far, Long Beach Poly's William Frankenfeld, Newport Harbor's Alexis Garcia will also receive one of those top ten bids (designating the top 10 returners from 2017). 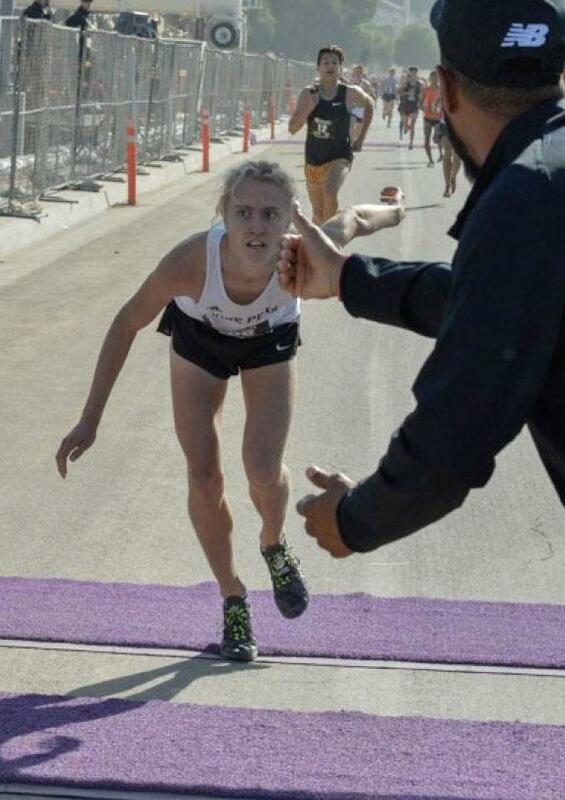 Grover, who last Saturday won his second Division IV CIF-State title and in the race to the finish, just missed qualifying as a sophomore last year, finishing 11th. Grover missed making the West team by just 4.3 seconds after Utah's Justin Hartshorn lost his balance near the finish line and barely struggled to his feet in time to cross and claim that 10th spot with Grover charging hard up the airstrip just steps behind (Clark Kranz photo above). Frankenfeld is coming back-to-back weeks where he earned the SS-Division I title and came back for a third-place finish at the Division I State Championships (15:08.5). In that same race, Dublin's Christopher Middleton-Pearson placed eighth in 15:14.4 while Palo Alto's Saul was ninth (15:15.4). Stockdale's Mota was 12th in a time of 15:21.1. Coming in with the hottest hand (or legs in this case), Arroyo's Noah Hibbard has been on a tear in the past two weeks! He is coming off being runner-up the past two at the SS-Finals and last weekend was second place at the Division II State Finals (15:05.3). Livingston was sixth in the same race (15:12.4). Meanwhile, Garcia was seventh in the Division II State Finals. (15:23.1). A sleeper here could be Nevada Union's Garrett Gough shined on the Mt. SAC with a convincing 14:53 victory in the Division III sweeps race. Ryan Smithers of Laguna Beach has also been on a roll, running with the SS-Division IV title and finishing behind Grover at the State Finals (15:27.8). A host of talent travels in from out of state to punch their round-trip ticket back down to San Diego next weekend! Last year's Western Regionals winner, Kashon Harrison (Kirtland Central) flies in from New Mexico. Harrison went on to take 14th place at the Foot Locker National Meet, earning All-American honors. Coming in from Idaho are the duo of Zachary Erikson (Idaho Falls) and Nicholas Russell (Bishop Kelly). Representing the state of Washington, University (Spokane) junior Jacob Easton as he was fourth at the Washington D4 State Meet. Headlining the Californian girls is La Costa Canyon's Kristin Fahy. Fahy rolled to the Division II State title last weekend with one of the fastest times overall. Fahy, a three-time San Diego Section division champion, cruised to a 22-second victory (17:22.6) at Woodward Park to headline arguably the most competitive race in the nation up to this point! Behind Fahy, we have seven girls entered that all finished less than eight seconds (17:42.7 - 17:50.0) of one another at last week's State Meet! There are several others that were not too far behind so the top talent from California competing this Saturday is comparable! Behind Fahy in the Division II race, Colleen McCandless of Granada placed third (17:47.8) but will also be joined by Gabrielle Peterson of Healdsburg. Peterson (17:44.3) posted the largest margin of victory (35 seconds!) to capture the Division V State title with ease. Looking to stay 'home' next weekend, Canyon Crest Academy's Carlie Dorostkar placed fifth in the Division I finals, in rolling to a 17:42.7. In what may be a rematch of last weekend's Division IV State Finals, Audrey Suarez of Mayfield moved away for the win there (17:44.7) but Harvard-Westlake freshman Daniela Quintero, who had beat her the week before for the Southern Section title, crossed as runner-up in 17:48.3. Coming in third there was Sage Creek's Skyler Wallace (17:50.0), just head of Natalia Quintero, who is actually the 10th top returner from last year. The sixth fastest returner from 2017's Western Regionals is Caroline Garrett of Oakland Tech. Unhappy with her effort last weekend (18:17.6), she looks to rebound with a much stronger effort this weekend. Do not overlook Concord's Rayna Stanziano, who is coming off a 17:43.8, third place performance at last weekend's State Division III race. 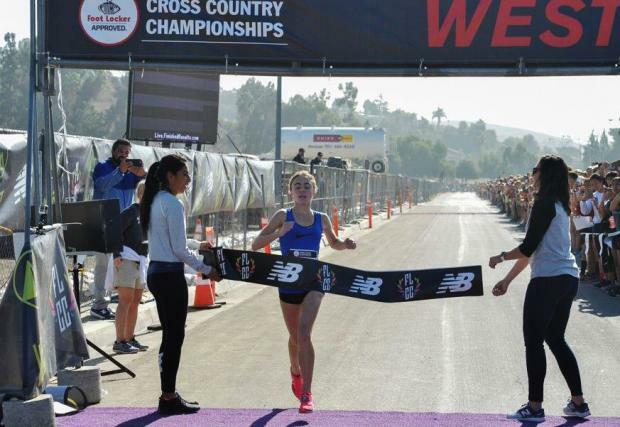 Other Californians to watch include Walnut's Emma Arriaga (17:56.7), Costa Mesa's Diane Molina (17:58.5) and Capistrano Valley's Carly Corsinita (17:59.9). Despite finishing in 17th place (18:08.3) at the Division I State Championships, do not sleep on Granada Hills freshman Sofia Abrego, who ran to the LA City Section championship two weeks ago. In glancing at the top 10 returners, seven of the top nine hail from Utah. Californians will definitely need to overcome the great competition as the trio of Karli Branch (Corner Canyon), Eliza Arrington (Lone Peak), and Anna Martin (Lehi) finished 12th-14th respectively a year ago. Reagan Gardner joins her teammate, Arrington, here as well as she was 16th last year. But it may be Helena Miyazawa of Mountain View that may leapfrog her fellow Utah competitors. Annika Reiss of Bellingham, Washington is your top returner of the group as she rolled to an eighth-place finish here last year before moving on to a 23rd place finish at the Foot Locker Nationals. Allie Janke of North Central (Spokane) is another top returner from Washington as she is coming in with a great Sophomore season in winning the 3A State Championship. Lexy Halladay of Mountain View was the 5A State Champion in Idaho while the state of Arizona is fronted by Aliandrea Upshaw of St. Michael Indian. In reflecting back on past Foot Locker Western Regionals on the Mt. SAC Course (5k vs. 2.94 miles by the way), a huge competitive pack will take that turn before winding their way up to the top of the Switchbacks. Somehow, that 800-meter stretch from the bottom of that hill until they emerge back onto the airstrip ... mentally, the toughest competitors become a pack that dwindles down to 12-15 athletes. That group ends up grinding it out for those 10 spots to next weekend!